We recently spoke about pants that are comfortable and stylish enough for the airport (that aren't jeans or leggings). And, as it turns out, it seems that Kendall Jenner is on the same page. We've noticed the model's affinity toward sweater pants after spotting her wearing them to the airport on multiple occasions, and she recently confirmed that she is indeed a fan on her website. She said, "When you want to be stylish, but still comfy, here's my trick: sweater pants! They're just luxe enough that you can get away with them anywhere (with some proper styling techniques, of course)." 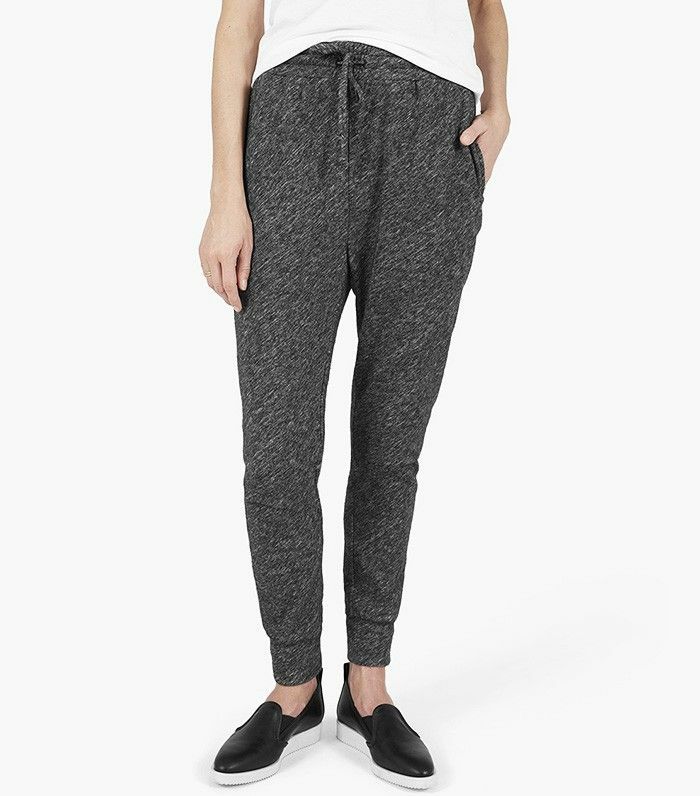 We agree that the cozy pants look more elevated than sweatpants or spandex leggings, and are even more comfortable. Take a cue from Jenner and style them with something unexpected like an off-the-shoulder sweater, kimono, or leather jacket. Shop our sweater pants picks below. They just might be your new comfortable yet stylish secret weapon, too. These are cool enough to wear to work, with a pair of heels and something polished on top. We'd pair these with a cool graphic tee and a bomber jacket. You can't go wrong with 100% cashmere. Do you prefer leggings, sweatpants, or sweater pants? Tell us in the comments!